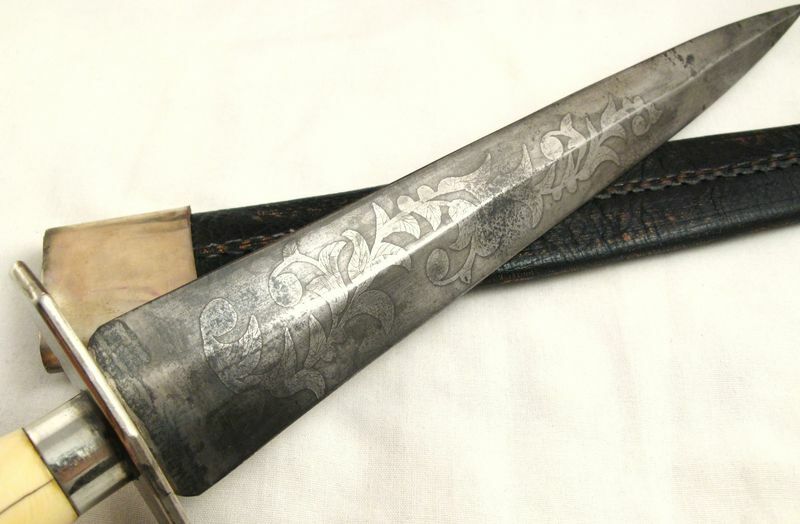 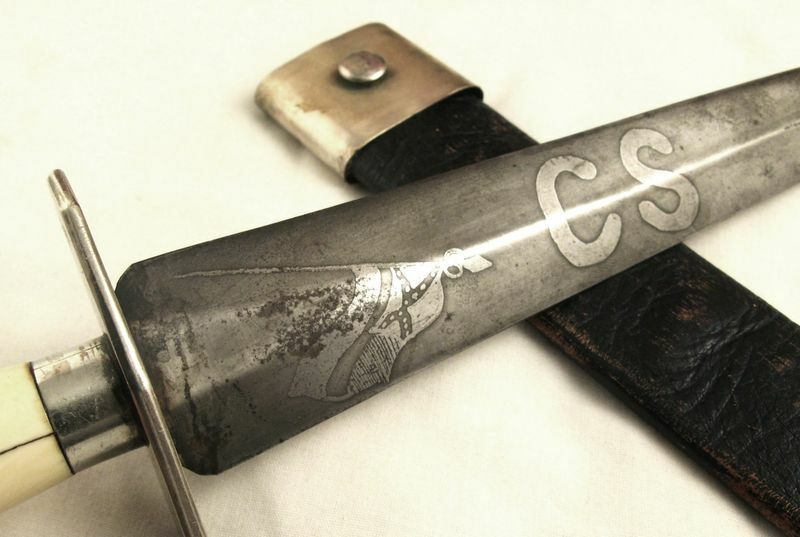 It is a beautiful knife etched with CS and a Confederate flag on one side of the blade, and floral swirls on the other. 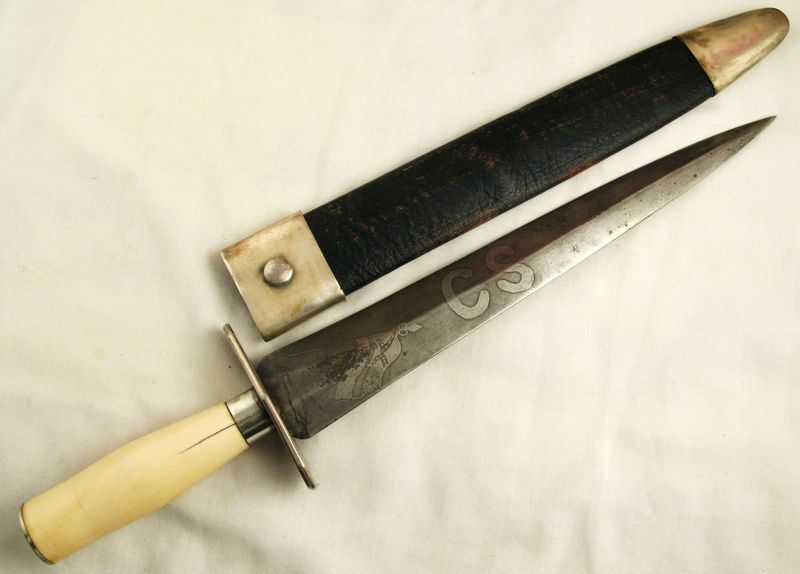 The handle is smooth as silk bone. 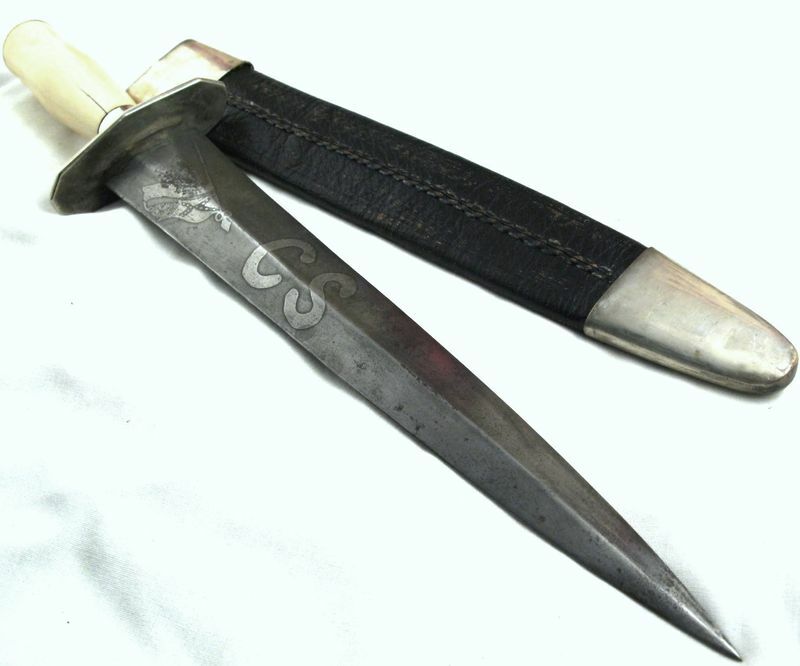 Blade, guard and pommel are steel, but it is a FAKE. 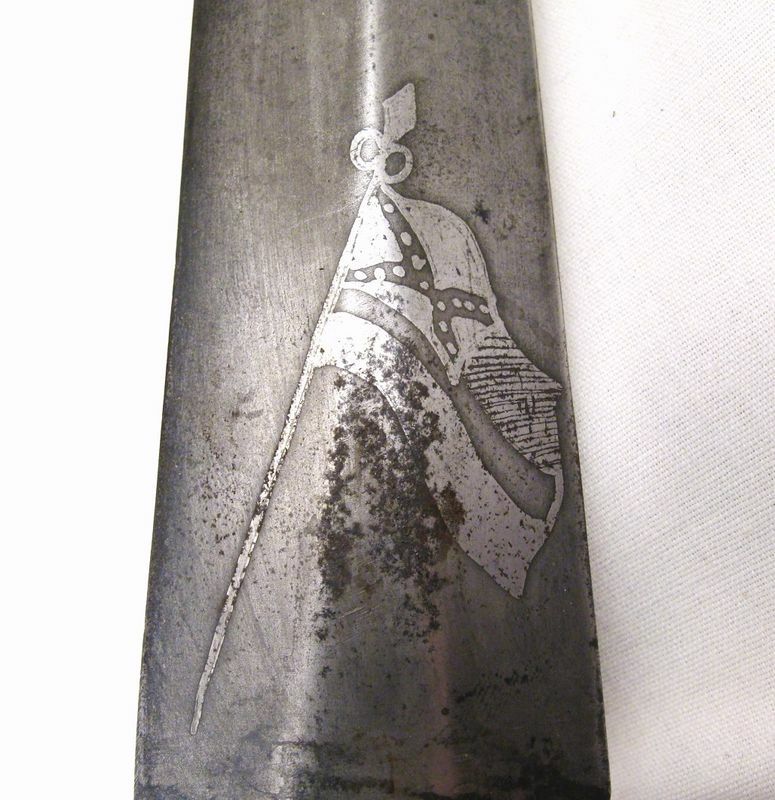 The bone handle does not show proper age to be 150 years old, and if you look closely at the Confederate flag you will see dots instead of stars.